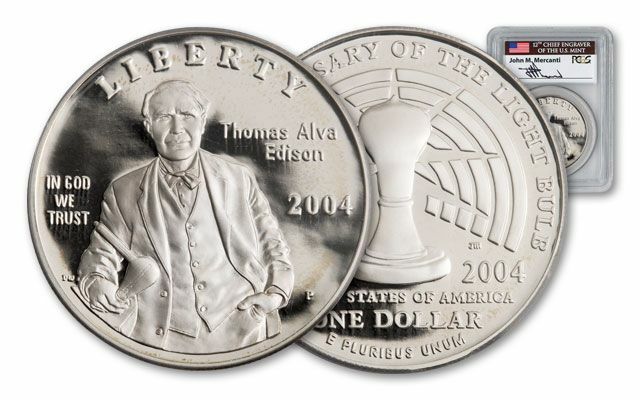 Only 81 of these Mercanti-Signed Edison Commemoratives Exist! It’s hard to believe, but before 1879 the night was filled with more darkness than light. But with the success of Thomas Edison’s incandescent light bulb in 1879, the darkest of nights can disappear with a flick of a switch. 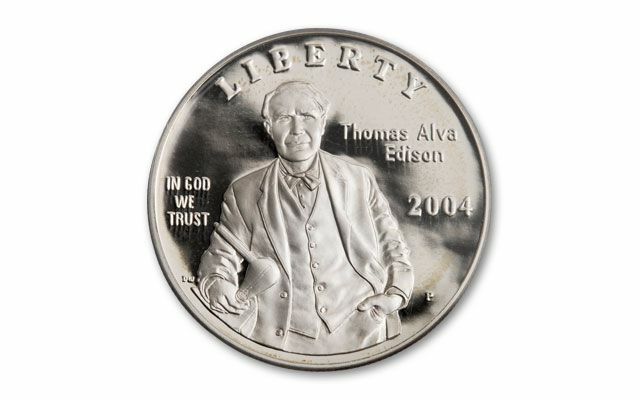 Struck in Philadelphia, this 2004 Silver Dollar celebrates the 125th anniversary of the light bulb. Each Silver Dollar is struck in 26.73 grams of 90% fine silver. 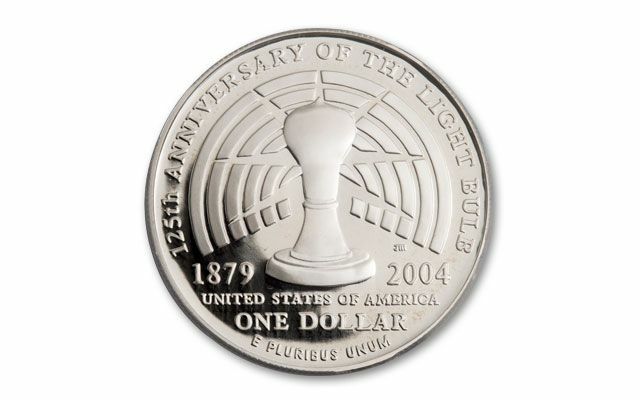 The reverse, designed by John Mercanti, the 12th chief engraver of the U.S. Mint, shows the original bulb design. 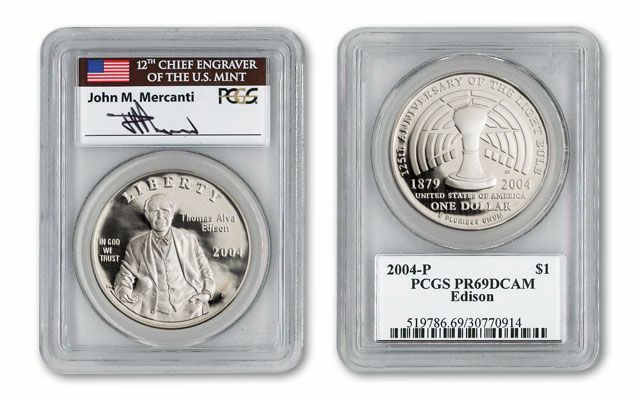 Now you can obtain this elusive Silver Dollar graded almost perfect Proof-69 Deep Cameo (PR69 DCAM) by Professional Coin Grading Service (PCGS). In addition, each label is hand-signed by Mr. Mercanti and sealed with the coin in the holder. This unique double collectible can be yours. But hurry, only 25 are left in our vault!